This article was published by Andrew Evans (@Famine) on April 11th, 2019 in the Car Culture category. Inferno251, samdu and ImaRobot like this. Everything about this story is quintessentially Californian. yas, girabyt3, samdu and 8 others like this. I live in Cali but have taken to identifying myself as from my home state of Illinois. The DMV many problems including 4 hour waiting times at offices to handing out federal licenses to persons not presenting proper identification, so this censorship really fits how the state has devolved. No joke about the wait times. My girlfriend had to renew her license last year. She showed up at 11am and was done at 3pm. Xavier2342, Nismonath5 and L8 Apex like this. CLowndes888, yas, Nismonath5 and 4 others like this. I believe it‘s a derogatory term used to describe certain helicopter mothers in the USA. I can see the state's viewpoint. No one is "censoring" or denying the owner his first amendment rights. If he wants to have a license plate frame or bumper sticker made that says "Come on, you whites" he's free to do so. The state of California is simply saying they have no obligation to make that statement for him, since it could easily be mis-interpreted as racist. 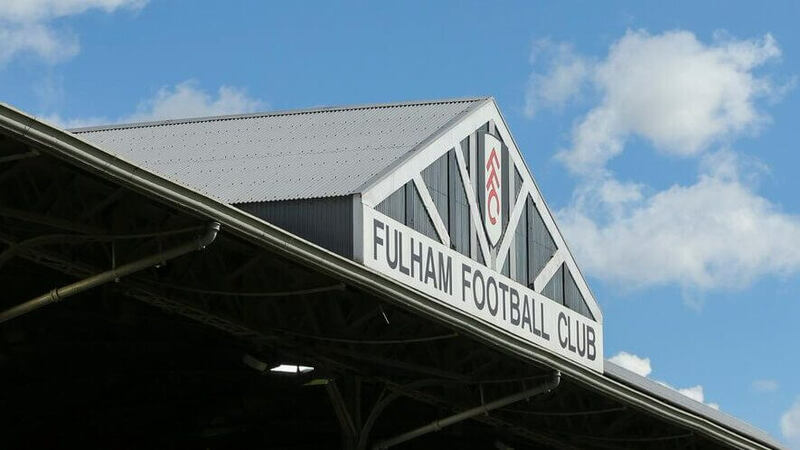 And let's be honest, if you're from California and have no idea who the Fulham FC is or what their fans chants at games (and who does outside England? ), you'd look at that and immediately think it's racist. Especially if you're a person of color. The state is entirely within it's rights to deny his request and frankly, their decision is a non-controversy. sanrensho, Belifant and RichiPuppy like this. They also want to tax air, water, soda, tires, car batteries etc. It's all over reaching I mean who really cares if you saw a vehicle in traffic that had "COYW" number plate? Most wouldn't even know what it means or would assume the driver thinks he's coy and his first name is William. TTM, HopAlong and Turbotwin01 like this. A contraction of "association football", used in North America to distinguish from other ball games where occasionally someone might think to use their foot. I can see the state's viewpoint. No one is "censoring" or denying the owner his first amendment rights. If he wants to have a license plate frame or bumper sticker made that says "Go on, you whites" he's free to do so. The state of California is simply saying they have no obligation to make that statement for him, since it could easily be mis-interpreted as racist. Strangely, Kotler is a professor of media and constitutional law. The Supreme Court ruled in 2015 by a 5-4 vote that license plates are government speech. Kotler is arguing that the plates are in his possession and on his car and are thus his speech, so by restricting it the government body responsible is violating the first amendment. And let's be honest, if you're from California and have no idea who the Fulham FC is or what their fans chants at games (and who does outside England? ), you'd look at that and immediately think it's racist. Especially if you're a person of color. Would you? Would you see "COY-W" on a Civic, driven by a 73-year old man, in Calabasas, and immediately think that the "W" means "Whites" so the rest of it must be a white supremacist slogan? GT_brickhole, Inferno251, TX Executioner and 2 others like this. If not for this thread I'd not know it had anything to do with whites. Nismonath5 and byoung like this. Then if it does make it to court, this will make for an interesting case. The things people have time and energy for... amazing. ferhound and byoung like this. I’m in Indiana now, but this reminds me of how the DMV in used to be in MA. Someone once said you could walk into any MA DMV branch, mow down everyone behind the counter with an illegal AK-47 and no court in the state would convict you. Personally, I would think a license plate saying "COY-W" without knowing the context would mean the driver is either a Coy Women or Coy with women. Oh and I just thought of another thing that "COY-W" can mean. "Come on you ." Isn't it mothers who fiery people around? Like to and from sporting events? Not helicopter mother. I thought "helicopter" parents were those who like removed the locks on their kids doors and asked several embarrassing questions at dinner to try to control their life. "Helicopter" like hovering over your shoulder." But maybe we mean the same thing. Yeah? Not everyone who does something for a living is good at it. This sounds like an actual frivolous lawsuit unlike all the ones claimed as such for political reasons. There is a reason for license plates and speech isn’t it and no one is stopping him from getting a bumper sticker. Being that the state of California is the one issuing it they can deem whatever they want inappropriate and I am sure there are rules when signing up saying just that, I am sure this lawyer read all of them like we always do. If that's true, then I'm glad I don't live in Massachusetts. I am sure this lawyer read all of them like we always do. He believes that the DMV - which is a government agency - should not be censoring his freedom of expression, because that's against the First Amendment to the Constitution which guarantees government will make no laws with respect to the freedom of speech. Aside from the fact that the Supreme Court ruled in 2015 that license plates are government speech, it's surprisingly hard to pick a hole in that argument. XRaider, Inferno251 and TTM like this. You might be right - I understood "Soccer Mom" to be a parent who enrols their kids into all manner of extracurricular activities - basically a helicopter parent. Although some guys from the USA might be able to confirm if I'm right, or if I'm wrong. To the relief of Jag fans everywhere, Bortles is now with the LA Rams, replace by Big "D" Nick Foles. Everything I know about the Jaguars comes from Jason Mendoza. Eunos_Cosmo and Joey D like this. It's actually quite easy to pick a hole in that argument. They are not restricting his right to free speech. He can put that message on his car all he wants. They are simply saying they have no obligation to create that speech for him through their own license plate that they own and issue. Which works as an argument (except he would own the plates) up to the point that other people can have vanity plates with their chosen messages. By setting standards for what messages are allowed and what aren't, the California DMV is acting as a governmental censor on expression. I'd expect that to be the thrust of the case. You're arguing he has the right to compel the CA DMV to issue any license plate he wants. He doesn't. He has a right to request a specific license plate. They have the right to reject it, because it's their license plate. He cannot compel state speech. As an actual person of color (even though I don't live in California), I would just be wondering what the hell does that mean. Even subtracting any knowledge of Soccer, Seeing "COYW" doesn't exactly conjure anything racist to my mind. Just looks like an old man with an quirky set of letters that mean...something. Wouldn't be surprised if that's what many others would also think. Feel like that would only apply in a specific region though (which I'm sure is nowhere in California ), otherwise everyone outside it would be completely lost on that. GranTurNismo, Draggon, RandomCarGuy17 and 1 other person like this. I don't understand why he didn't just say it meant something like Coy Walter or whatever and just be done with it. Explaining that it means "come on you whites" looks pretty bad from a sensitivity point of view. Also, I don't believe the plates belong to the owner of the vehicle, don't they stay property of the state? TexRex and Famine like this. Time for all the this PC crap to be put to a stop. Political Correctness is this civilizations down fall..
You're arguing he has the right to compel the CA DMV to issue any license plate he wants. I'm arguing that refusing to do so while allowing others might qualify as censorship of expression by a government agency - which will no doubt form the basis of his lawsuit. Also, I don't believe the plates belong to the owner of the vehicle, don't they stay property of the state? Pretty sure once he's paid for it, it's his. Although it varies state to state, in California the individual becomes the "license plate owner of record" for any plate in their possession and they can be transferred with the vehicle - and the owner is not required to surrender the plates if the vehicle is transferred out of state. I'm sure you're right that that is what the lawsuit will hinge on.